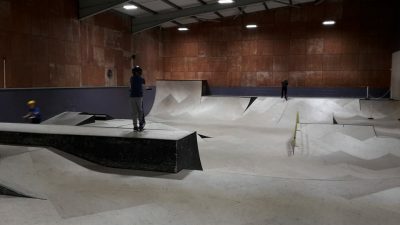 Air is a unique, bespoke indoor ramp experience which has been pro-designed for seamless transitions and maximum flow. 17 interconnecting ramps, pipes, banks, ledges and rails for boards, BMX, blades and scooters provide the tools for some serious action. Powered by YMCA and Wyre Council, Air has opportunities for everyone no matter what. Check out the available sessions below for open sessions for all wheels, dedicated times (e.g. 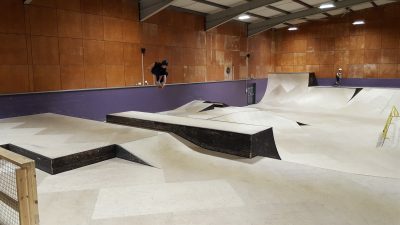 Boards only, BMX only), coaching sessions for beginners and improvers and more. All riders are required to register the first time they check in. 1. During registration you will be required to provide personal details and sign the Air terms and conditions. 2. Under 18s require signed parental consent prior to entry. 3. Under 18s must wear a helmet on the ramps at all times. 4. No exceptions. Once registered you’ll receive an Air key fob for quick check in on all other visits. Speed up check in… download and complete the registration form to bring with you. Under 18? Please remember your helmet. Private Hire also available during term time weekdays, after hours and party slots. Contact Us for details. Have you registered? All riders must register on first visit. Speed it up, download and complete before you arrive. Visit Register Now. Available to hire on arrival. Food and drink… grab some fuel in the cafe diner inside YMCA Thornton. 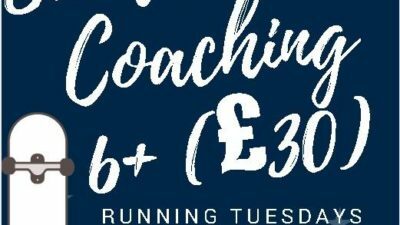 Snacks, drinks and meal deals available.